Glaston-baby? 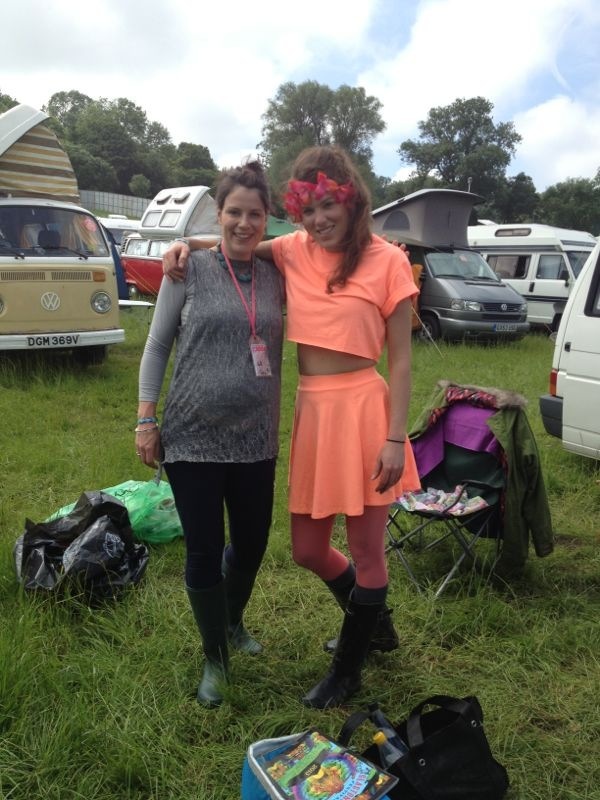 How to do Glastonbury (or any other festival) if you’re pregnant. “You must be crazy!” is what most people said to me when I said we were still going to Glastonbury despite me being 31 weeks pregnant. If they didn’t say it, they were certainly thinking it. There was no doubt that we would still go when we found out I was pregnant. The question was, would I enjoy it and could I hack the pace? Hopefully by sharing my experience it will help you make a decision if you’re reading this post and considering your options. 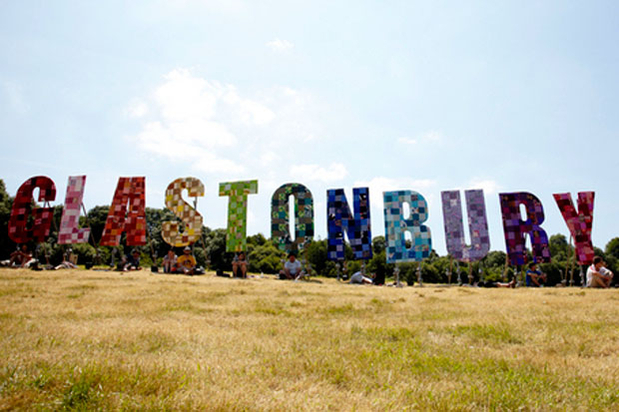 Glasto is an endurance test for even the non-pregnant so deciding whether to still go or not can be a tricky decision for expectant gals. It’s fair to say I have had a really easy pregnancy – I skipped the extreme exhaustion most expectant mothers get, said adios to the endless trips to the toilet at about 13 weeks, lucked out with barely any morning sickness and have generally had more energy than ever before (our garden is testament to that) so I was more than up for the challenge. Am I glad I went? Hell yes! In the end, it wasn’t a challenge but only because I knew I wasn’t going to spend all night at Shangri-La and I had the support of my husband Ozzy and sister Alice who took amazing care of me and didn’t get too trashed to forget they had a dependent. 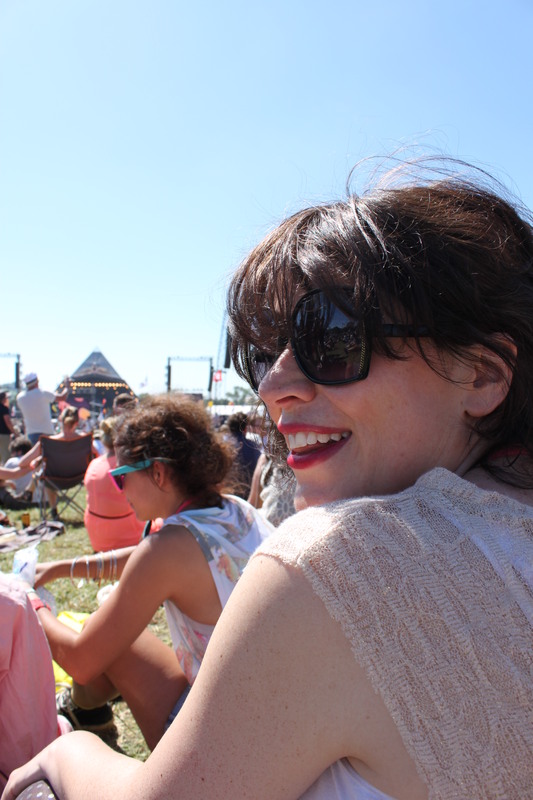 Here are my top tips if you’re considering going to any festival and you’re pregnant. It’s not cheap but if you’re over 25 weeks, you may struggle in a tent. I am a seasoned camper but even I wouldn’t attempt to tent it. Not least because some of the camping facilities are pretty grim. We hired a V.W. from Camperbug which was perfect. 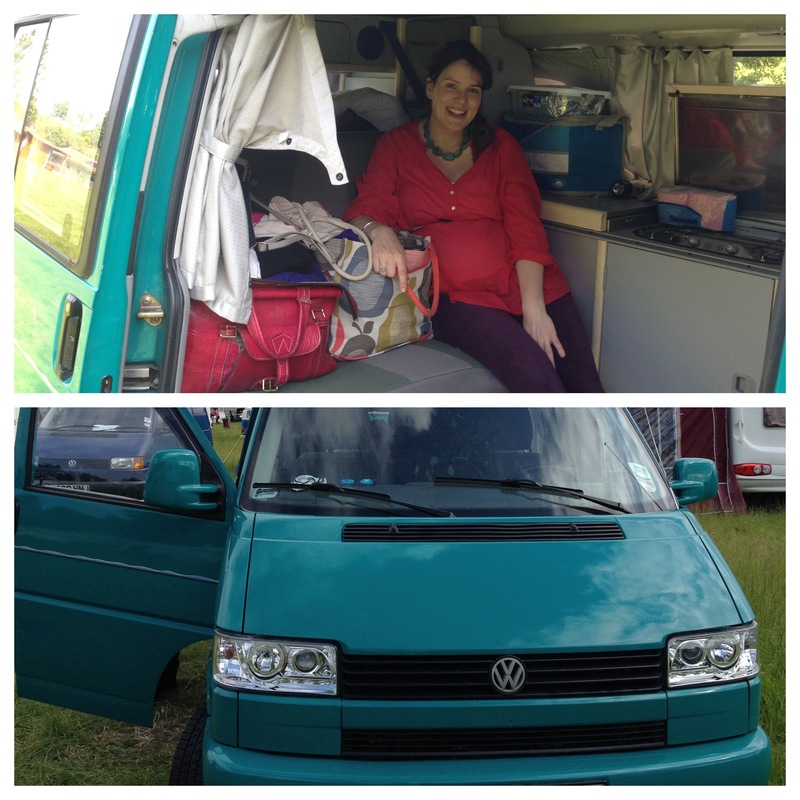 We could drive in with everything we needed, the bed was uber-comfy, it had a fridge, (luxury!) if it rained then we’d have somewhere comfy and dry and we could cook our own meals easily. As it happened it only rained once on the Thursday – phew. The only down side was that the campervan field (we were in West which is the better one) was a long walk from the main site which isn’t ideal at 1 a.m. when you’re shattered. When you’re pissed and happy, it doesn’t matter. Glastonbury is family friendly so there are people from a wide variety of life-stages, ages and backgrounds however not all festivals are like this. 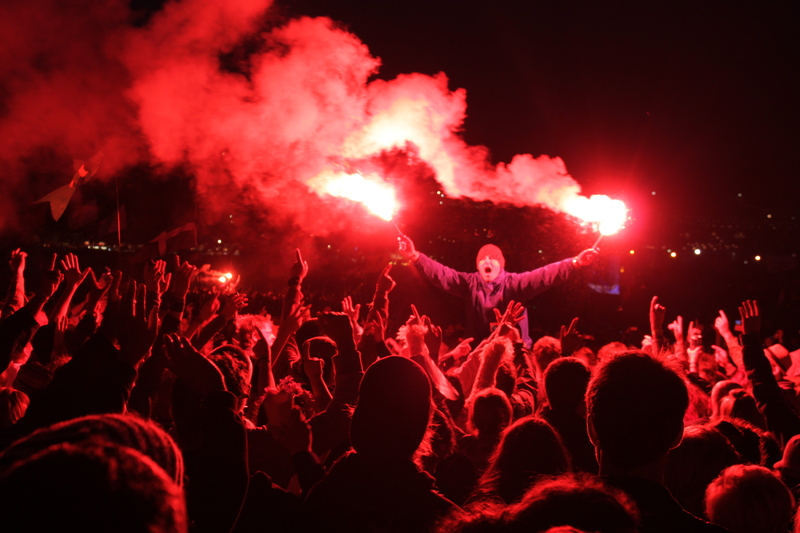 There is something for everyone at Glasto so it’s not a giant rave as opposed to Global Gathering or Glade. Consider what time of festival it is and assess if it’s suitable for you to be there. 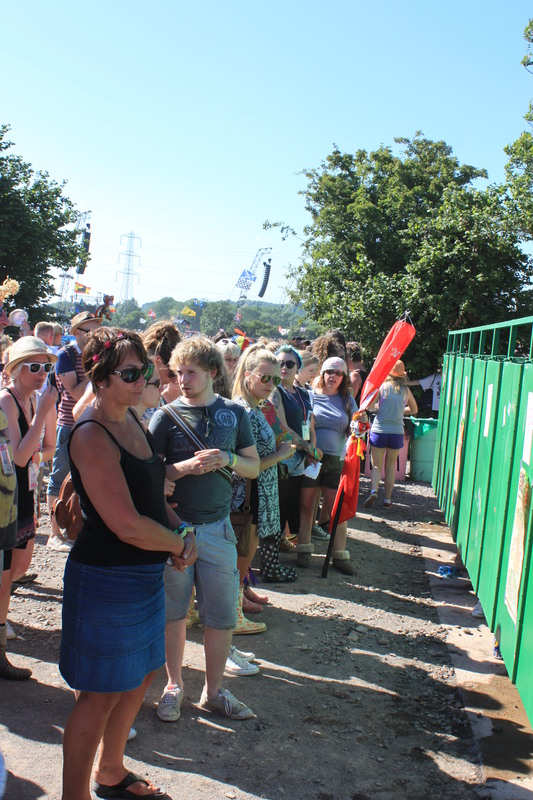 After mud, grim toilets are the second thing Glastonbury virgins think of. Unfortunately the toilets this year were worse than ever before (we reckoned anyway) but I was prepared! I took a Bog-in-a-bag (that gismo from Dragons’ Den) in case of nighttime trips to dark and disgusting portaloos. We also took great delight (strange I know) in visiting the girls Sheewee‘s which were all over the site. These are sponsored by WaterAid and much nicer (and far less smelly) than the other facilities. I also used the eco-toilets where possible too – these are open air, long-drop bogs which are full of saw dust to absorb everything. They are far less smelly! It was a case of grin and bear it if these options weren’t around when I needed them. They didn’t keep the hand-sanitizers topped up outside the loos either and they were regularly empty so a top tip is to take plenty of anti-bac hand gel. In previous years at Glastonbury the toilets were slightly cleaner and better maintained but fear not as not every festival is as bad. 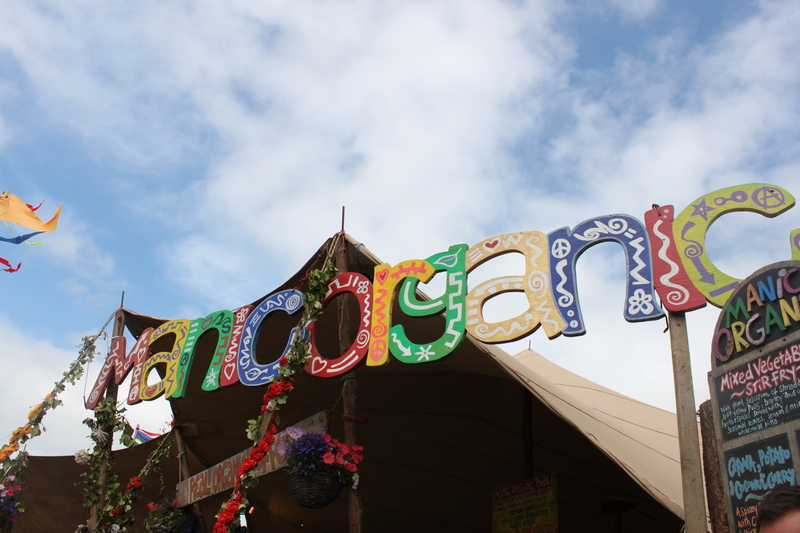 Shambala, The Big Chill and WOMAD have more compostable and eco-friendly options which are more pleasant to use. These are the “traps” AKA toilets by the Pyramid stage. They stank. 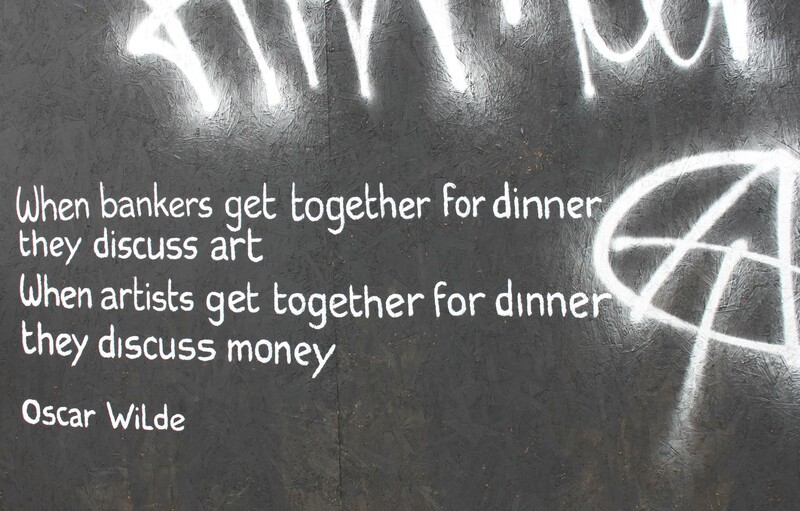 It’s pretty simple. Don’t go with a group of people who are going to cane it all weekend. Make sure you’ve got someone who’s willing to look after you and walk you back to the van or tent. I got a few strange looks and heard a few muffled “I would NEVER go to a festival if I was pregnant” but generally people were really considerate and genuinely interested/impressed with the fact I was there sporting a big bump. I think there was only one occasion where I got knocked (a tiny bit) and the guy was massively apologetic when he realised I was pregnant. Generally people would notice I had a big bump and give me a wide berth, even when we got stuck at in one of the legendary traffic jams. I got to jump the queue for toilets and food regularly too – everyone was super nice! I was prepared to not dance all night at Sonic, down vast quantities of Somerset cider or dash from stage to stage catching every act but instead picked an area or stage to camp beside during the day. We spent a lot more time at the Pyramid stage than we have in the past as smaller tents tend to be busier with people josling for space with crazy dance moves plus they are nosier. 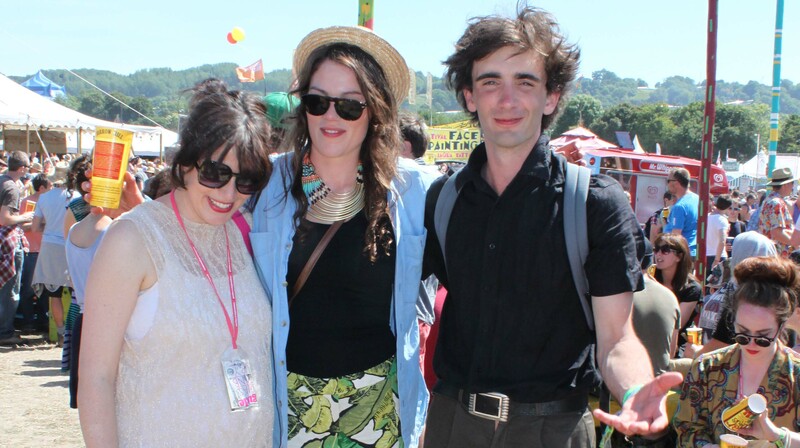 On Sunday we lazed in the sun at the Stone Circle and then saw Mumford & Sons – my personal highlight. Needless to say, I would have loved to have been at the front for The Stones! Gutted! 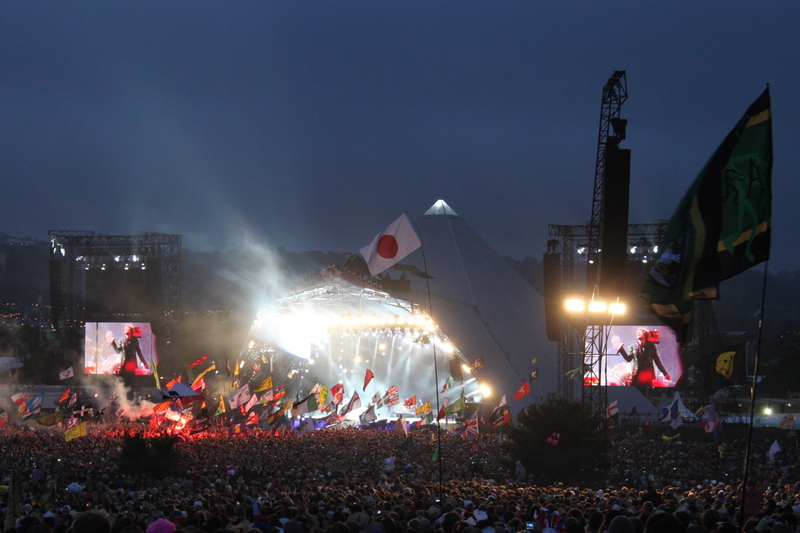 There is plenty of food at Glastonbury which is delicious and healthy. You just have to avoid the lure of the chip vans in the main festival site and explore the healing fields where you’ll discover gorgeous and good-for-bump nosh. My favourite was Manic Organic who serve divine vegetarian and organic dishes. They also have a restaurant in Kings Heath (Birmingham) which is definitely worth a visit. Take very comfortable shoes. Need I say more? 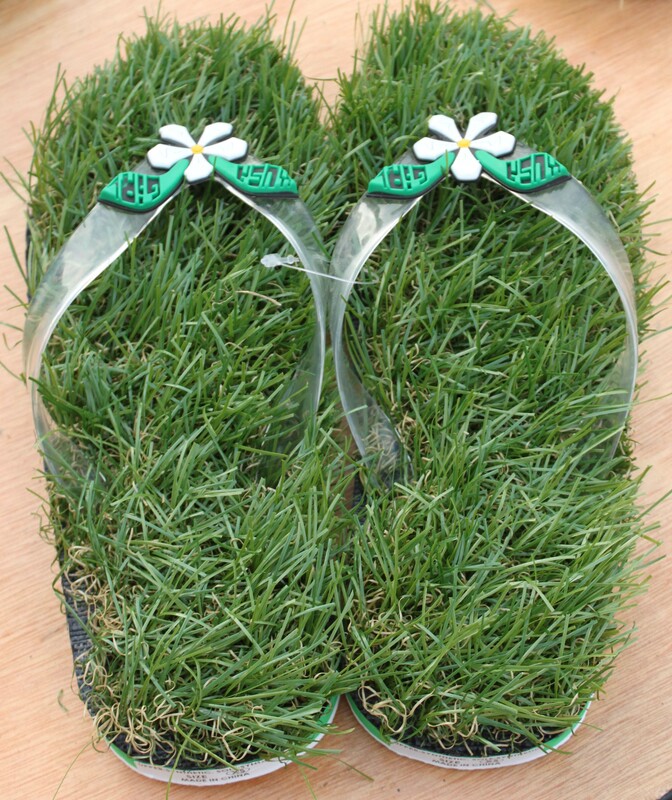 How cool are these grass flip flops? There are a few key things I wouldn’t have wanted to be without. I personally would not have gone if I was any more pregnant than I am now in case anything happened early but if you’re heavily pregnant, don’t forget to check in with the Welfare people. It’s only fair to make them aware there is a potential baby making a break for freedom! I’d love to hear about your experiences – have you been to a festival when pregnant and loved it too or was it a total nightmare? Think pregnant women are a liability at festivals and should stay at home? If the latter, please bare in mind I will have something to say. I’ve loved your blog for a long time and do my best to check in and catch up on your chat from time to time. This is a delightful post. I’m so very impressed by your can-do nature. Well done and all the best! Thanks Rebecca, it’s great to know people like reading my random babble! 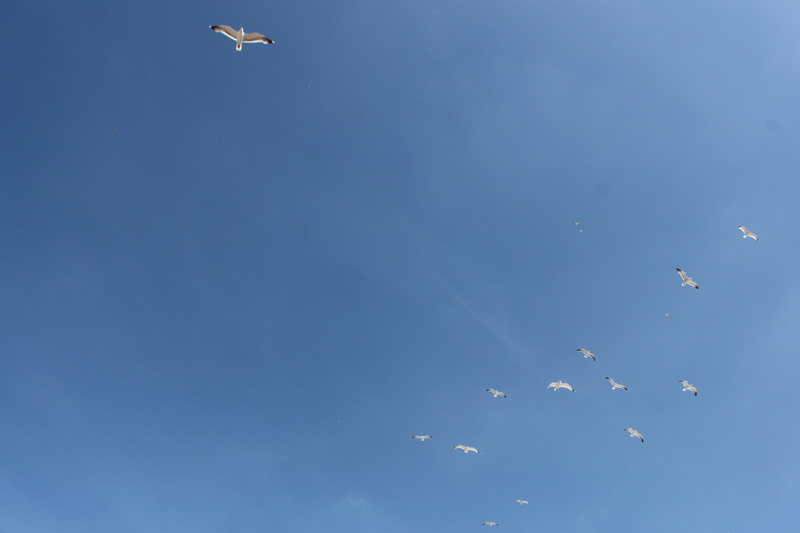 Fab blog thank you! I wish we had come across it in time for this year’s festival season as we could have linked to it and helped share your post with all our readers! Great – I look forward to hearing from you. Just So Festival is rather gorgeous and they have a great baby area with loads of really lovely sensory activities purely for babies like clay and paint… and there’s even a whole tent full of shiny stuff!… oh, and free sling hire and baby bath-times… I went for the first time this year and loved it, but my kids are 8 and 10 now and I found myself wishing the festival had been around when they were tiny!! Love to read about someone who doesn’t take pregnancy as a house-confinement! A lot of people thought I was mad to go to Nowhere (Burning Man themed festival in the Spanish desert) at 30weeks…right after having flown in from LA, but luckily my midwife understood that wellbeing includes the mind and given that the pregnant body is strong gave me the go ahead 🙂 Though I’d say to any pregnant mama to consult a midwife or doctor who you trust before making such a decision. I managed fine in my tent but I’ve always been the roughing it sort…though I upgraded to a larger size one we had a baby and all-terrain pushchair in tow! 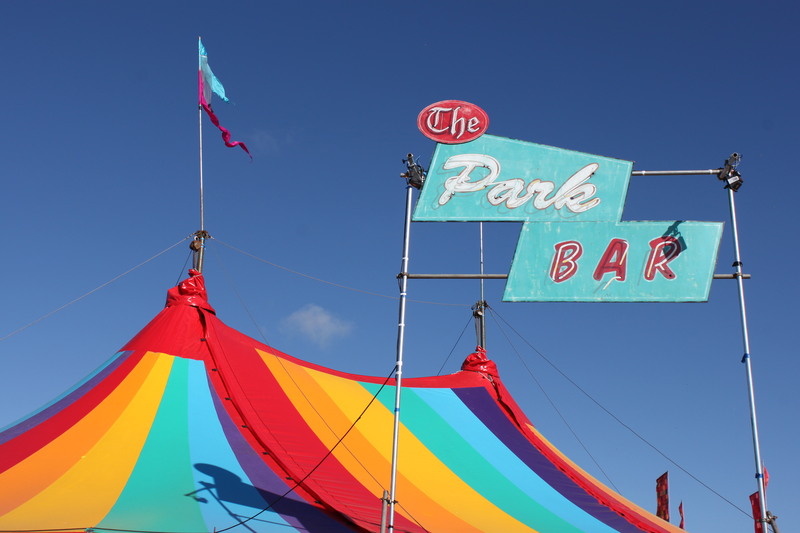 We’re just gearing up for our festivals of 2014 previews over at http://www.familywithstyle.com.